No kneading needed for this easy mochi recipe. 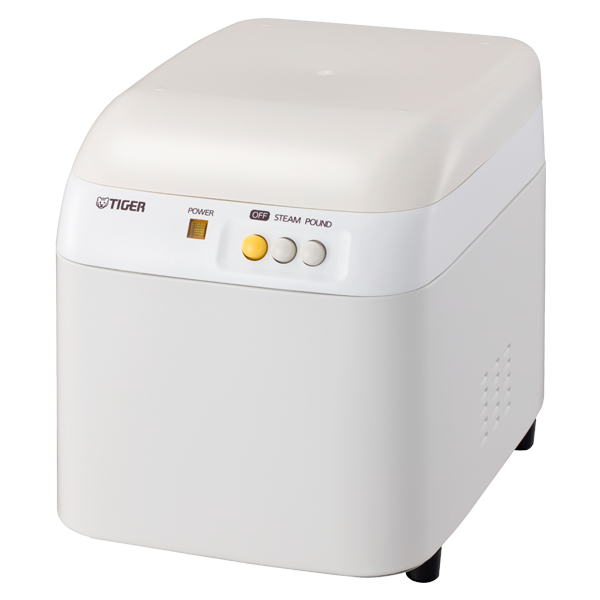 All you need to do is add water and rice flour to Tiger’s mochi maker and let the machine do the rest! Mochi is a Japanese sticky rice cake that comes in different shapes and sizes (the most common ones are round or rectangular). You can find it in grocery stores, convenience stores and shops specializing in mochi all across Japan. Mochi can be eaten as a dessert (mochi ice cream anyone?) or as part of a main dish (savory). The history of mochi goes all the way back to the samurai era when it was viewed as a “food of the Gods.” It’s also served during the new year to symbolize good health and good fortune. Kinako is simply roasted soybean flour. It’s widely used in Japanese cooking, especially with sticky desserts such as dango, wagashi, and you guessed it – mochi! On its own kinako doesn’t have much flavor other than being slightly nutty, but when it’s paired with a little salt and sugar, it takes on a completely different flavor profile. It becomes sweet and savory, and the earthy flavors come to the forefront. And when mochi and kinako are served together, they make the perfect marriage! Since kinako powder is dry, pairing it with a food that’s high in water such as mochi makes it easy and pleasant to eat. 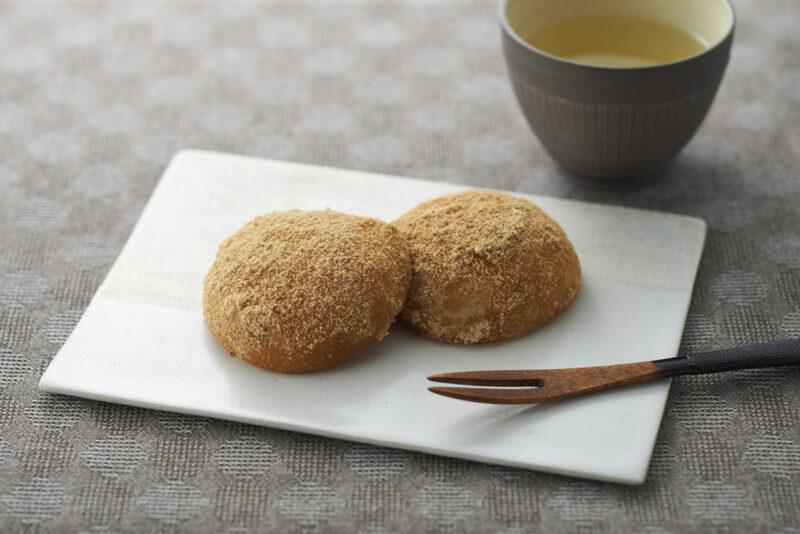 We recommend eating freshly made mochi on the same day to enjoy its chewy texture. Do not leave mochi out in the open as it will dry quickly. Save the leftovers in an airtight storage container. Kinako mochi is a traditional Japanese snack people of all ages love! Chewy rice cakes are dusted in a sweet and nutty powder made with soybean and sugar. Not only is it delicious, it’s surprisingly healthy! Follow the instructions on how to make mochi here.